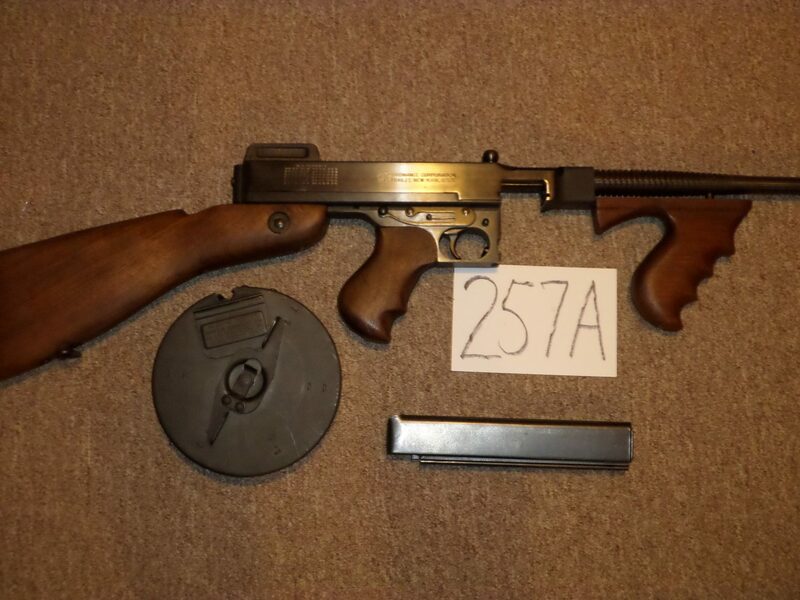 Thompson 1928 in excellent condition with new Crosby drum. 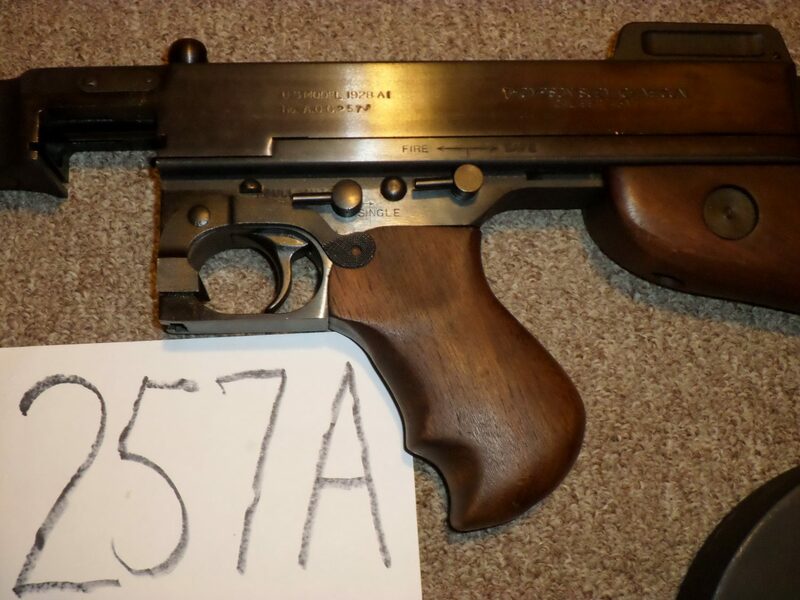 This gun was made in the first year of production at West Hurley and has the AOC prefix in the serial number (see page 474 of Tracie Hill book). These early guns have real military components instead of the later purple/blue West Hurley parts. Gun shows no wear or use and has 99% original blue. 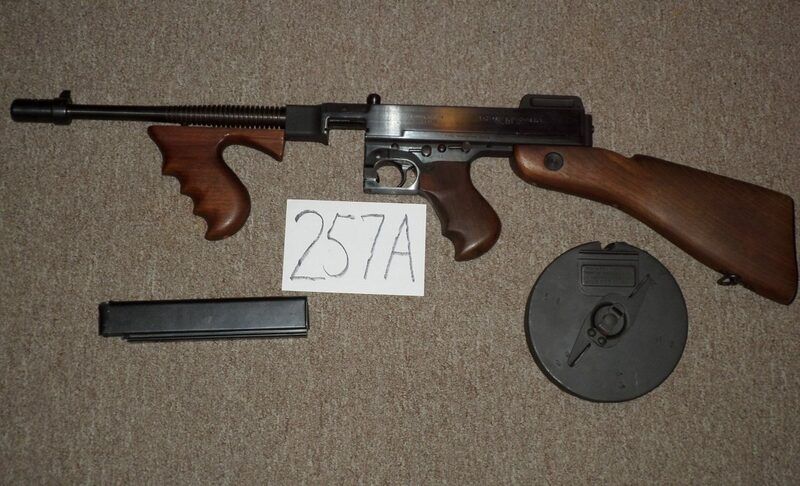 Very collectible Thompson.